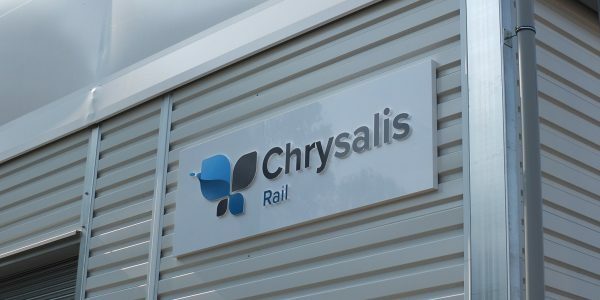 Chrysalis Rail joins the list of exhibitors at the 2018 Rail Vehicles and Enhancements Show (RVE 2018) in Derby this Thursday 4th October. For the second year running, Chrysalis Rail will exhibit at RVE 2018, the only UK show specifically focused on rail vehicles and enhancements. Now owned by Modern Railways magazine, the show encompasses an exhibition, conference and meet the buyer event organised by Rail Forum Midlands and the Department for International Trade. The show attracts international exhibitors, buyers and a broad range of visitors from train owners and operators to suppliers from across the rail supply chain. 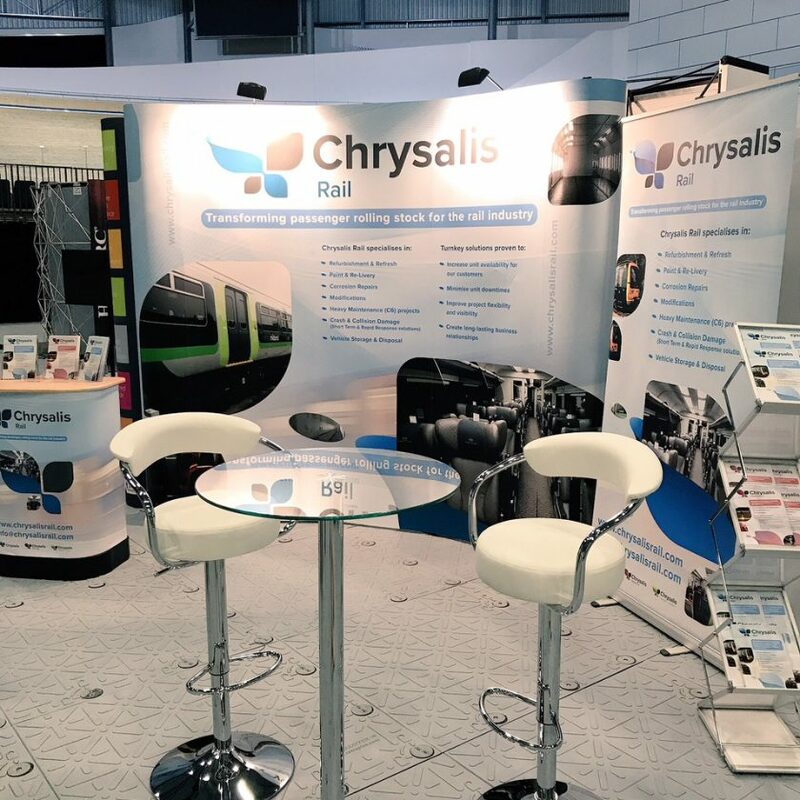 Chrysalis Rail is one of 60 exhibitors on the day and will be showcasing their full range of vehicle refresh, refurbishment and maintenance services to the rail industry. Chrysalis will also be sharing plans regarding their involvement in HydroFlex, an exciting fuel cell project led by BCRRE and Porterbrook that has recently been announced. “Chrysalis Rail are delighted to be involved in RVE once again. This show is extremely relevant to our business and we look forward to welcoming a record number of visitors to the expo to showcase our range of vehicle overhaul and refurbishment services. 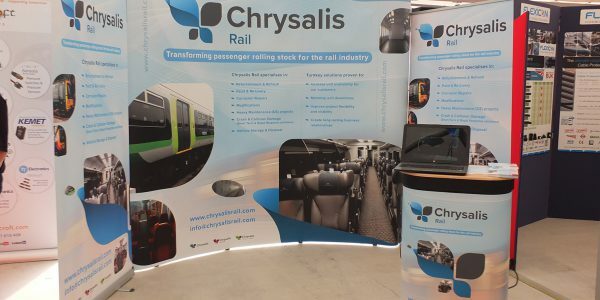 We are also delighted to announce our involvement in the HydroFlex project with BCRRE and Porterbrook at the show”, Rachel Steele, Marketing Manager, Chrysalis Rail Services Ltd.
Chrysalis Rail are a UK-based rolling stock services provider, specialising in vehicle refurbishment, refresh, heavy maintenance, modifications and overhauls, designed to transform and enhance passenger rolling stock. To hear more about Chrysalis and their latest work, visit the other news stories on this site here, or visit our social media accounts on Twitter and Linked In.